We live in amazing times. Do you know it? I sure do. I was working up strawberries last week and it was snowing. Snowing. God bless the fine farmers in Florida, they are bringing us strawberries in March. People. These are amazing times. 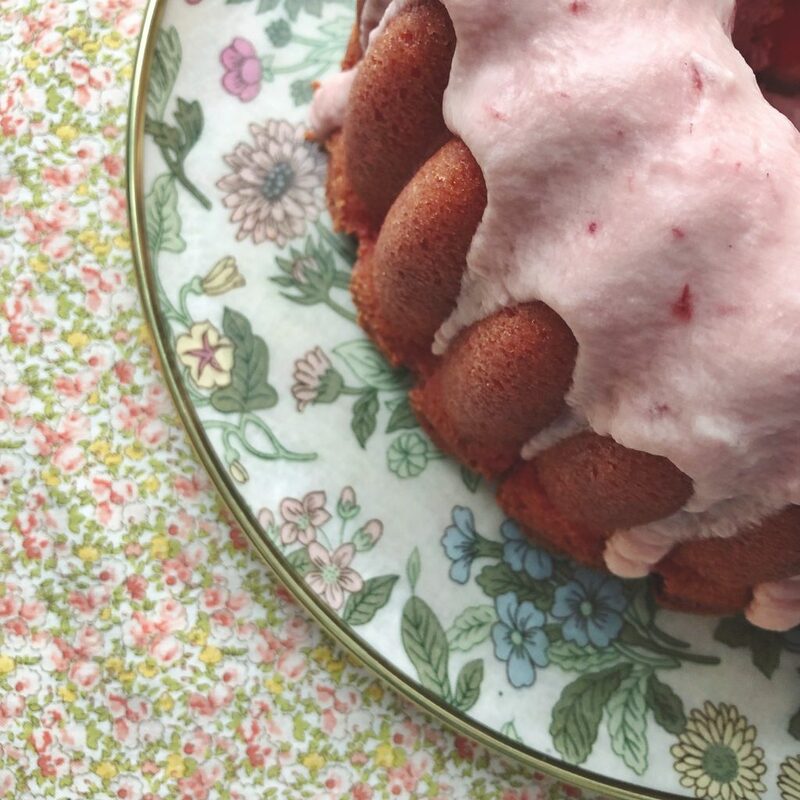 A strawberry bundt when snow is on the ground–amazing times. Want to know what else is amazing? This cake. It’s so simple, so deliciously moist, you’ve got to try it. And the glaze is the whole reason for the cake, in my opinion. Next time I make it, I’ll add more strawberry to the glaze, yum! Preheat oven to 350 degrees. Grease a bundt pan (I used a Party Bundt Pan and Bakers Joy to grease my pan); set aside. In a small bowl, combine fresh chopped strawberries, a few tablespoons of sugar, a splash of water (I didn’t use the water for mine). 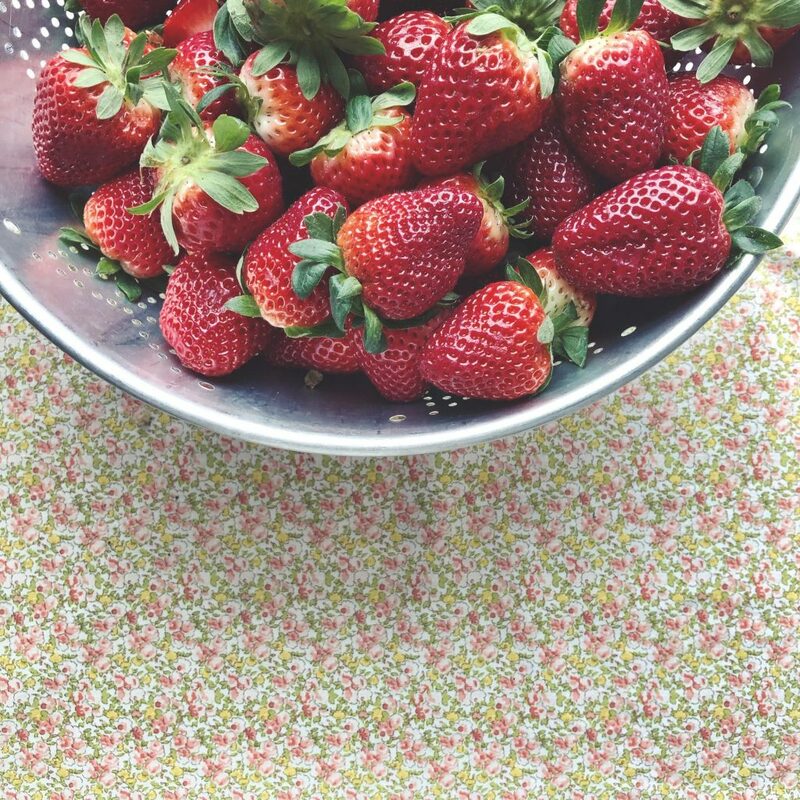 With clean hands, mash the berries into a yummy, mushy strawberry mixture. Set aside. 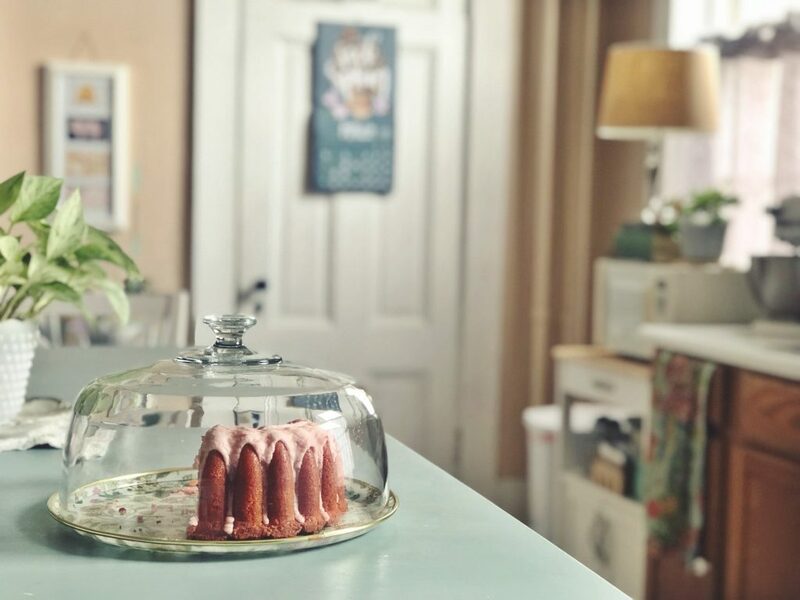 In the bowl of a stand mixer fitted with a paddle attachment, stir together the cake mix, flour, and jello to combine the dry ingredients and remove any clumps from the cake mix. With the mixer on low, pour in the oil, water, and strawberries with juice. Then add one egg at a time. Add the vanilla. Increase the speed to medium-high and beat for about two minutes to put air in the batter. Pour into the prepared pan and bake for 37-40 minutes. A toothpick inserted in the middle should come out clean and moist, but not batter-y. 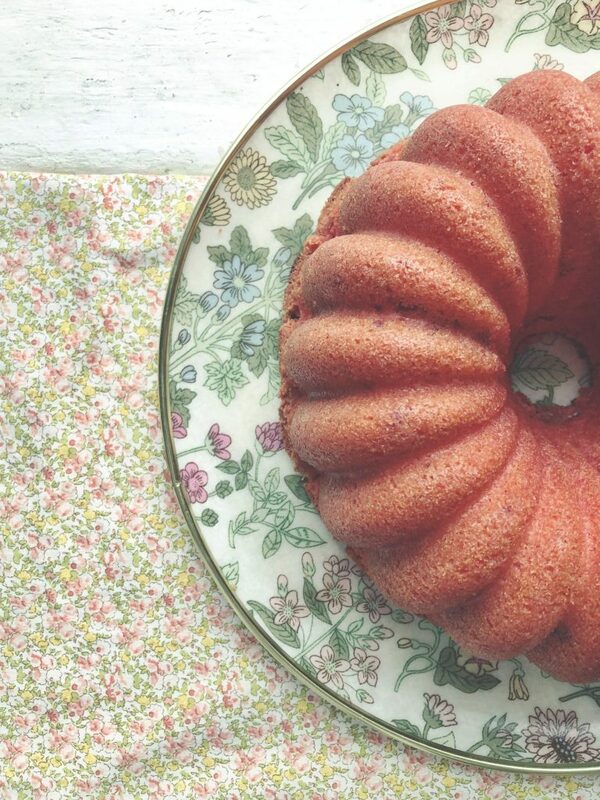 Allow to cool for about 10-12 minutes before inverting onto a cake plate. Whisk together and drizzle over an almost-cooled cake.